It's Christmas Special on StarTimes and we got some exciting gifts + Hampers for you. 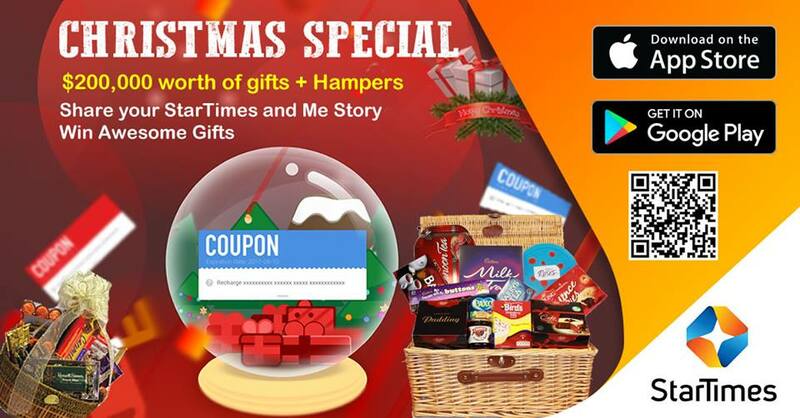 Step 1: Click on the “Startimes&me” page on StarTimes APP. Step 2: Insert your smartcard number or App account, to get your story automatically. 4. Get your Friends and Family to Like or Re-Tweet your Story. NB: Winners will be selected based on number of Likes or Re-tweets.Terms and Conditions Apply!